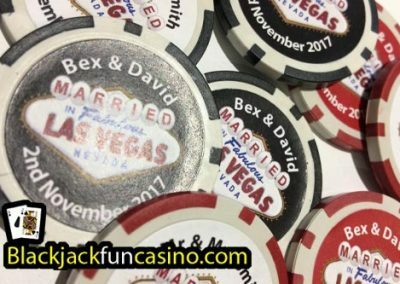 Our personalised poker chips are the same size and weight as you would find in a real casino – 4cm in diameter and 3mm in depth. 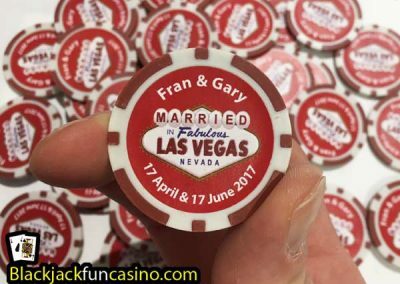 The personalised sticker is printed with a silky sheen to it. 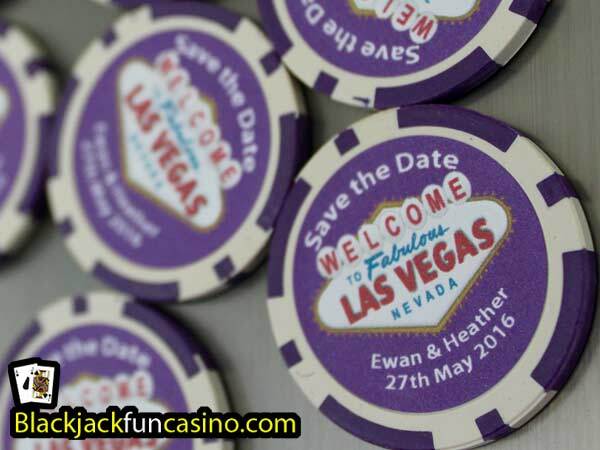 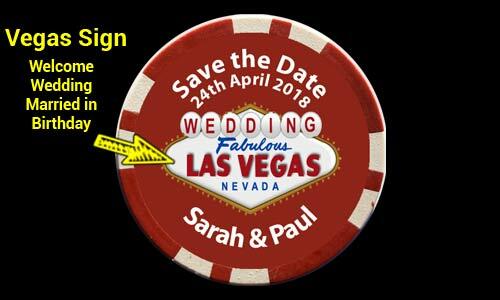 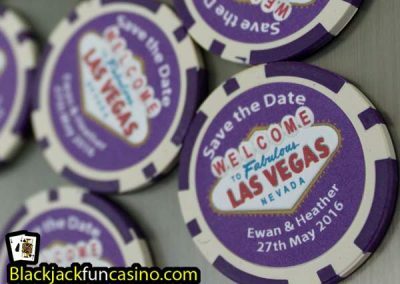 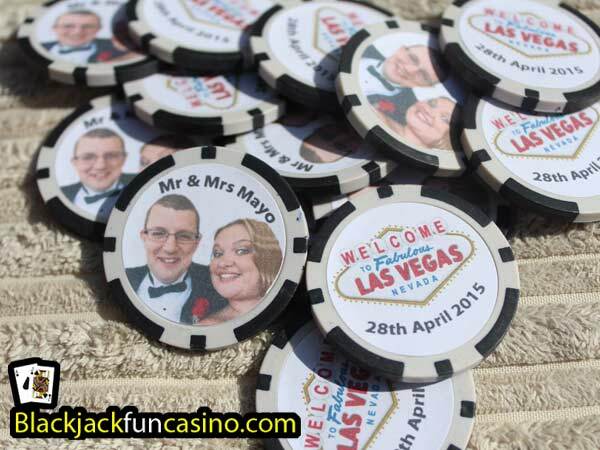 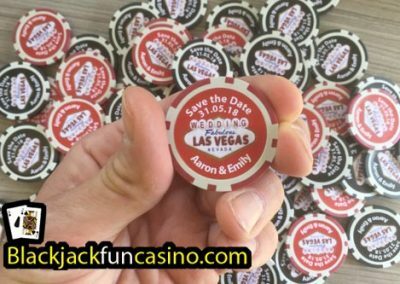 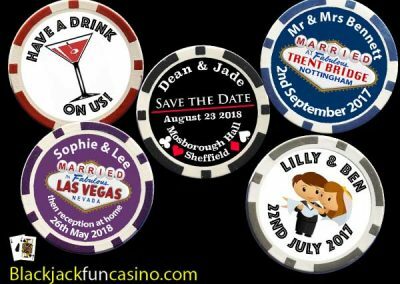 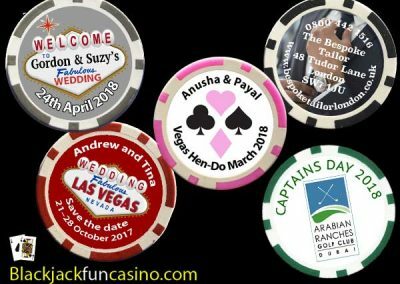 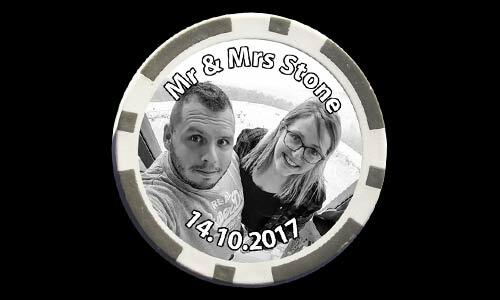 You can choose to have your personalised casino chips as double sided poker chips or single sided chips with a magnet on the back to be used as a fridge magnet… perfect for save the date! 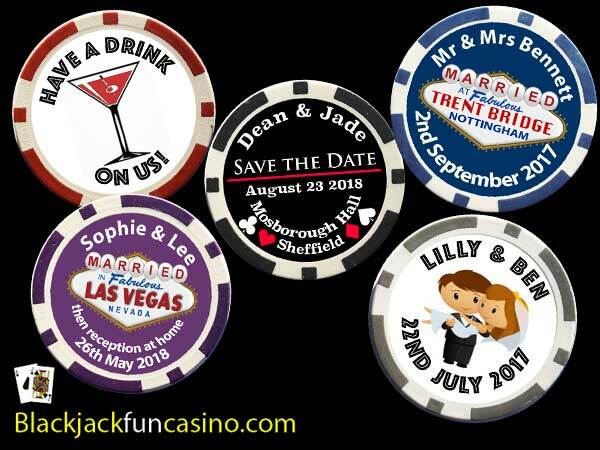 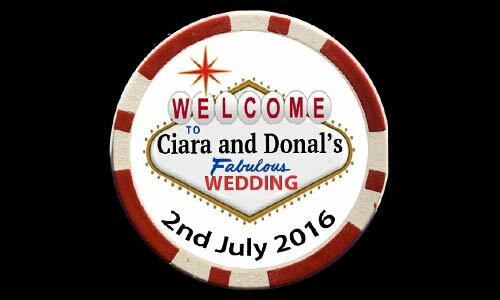 We have many personalised casino chip designs to choose from, see below. 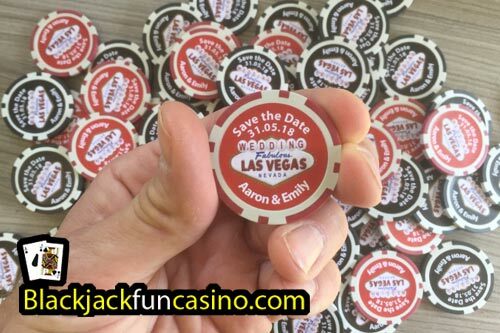 Ordering is really easy, just choose your style of poker chip, fill in the online form with details of what wording you wanted on your chips and click send. 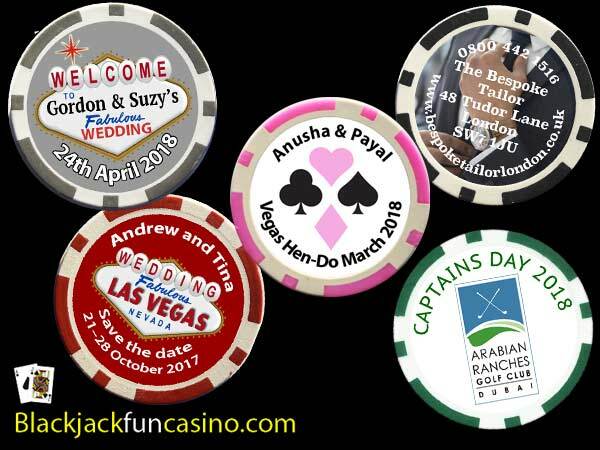 Once we receive your order, our in house graphic designers will get to work and prepare a draft copy of your personalised poker chips for you to approve or make any changes. 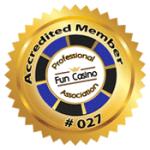 We will always send you a draft copy for you to approve before we print your chips or magnets. 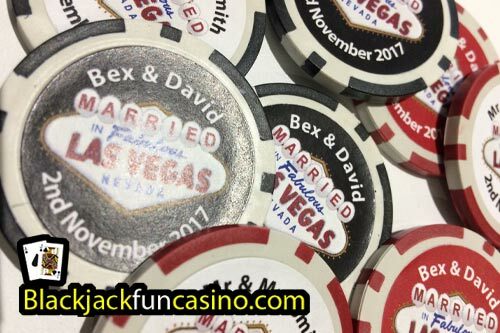 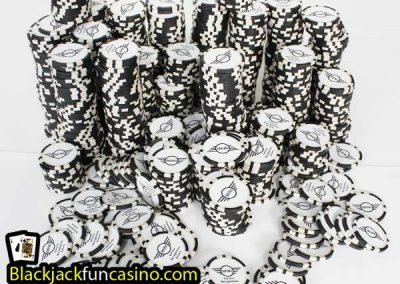 Once you are 100% happy with the design of your chosen poker chips then we’ll send your design to our bespoke counterfeit printing press and get your order printed and posted. 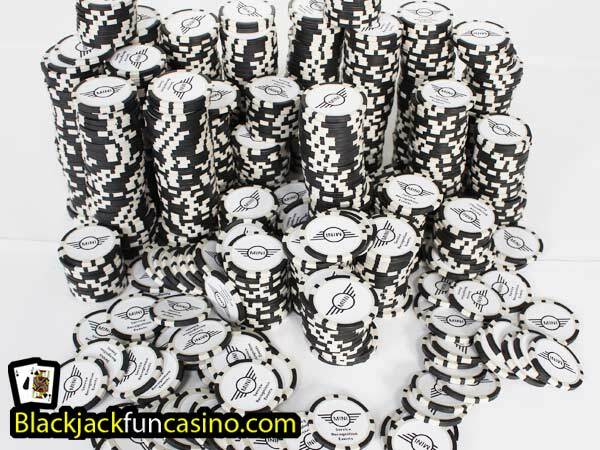 The whole process takes 1-2 weeks depending on how busy we are. 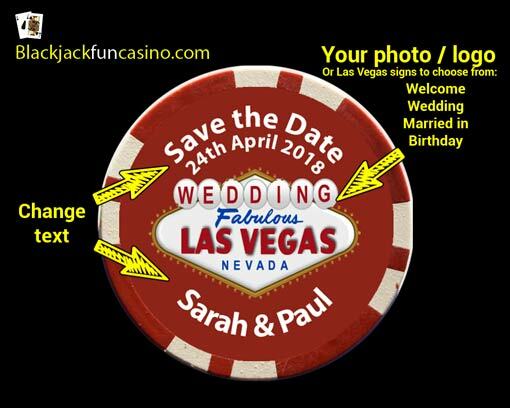 If you had an urgent order we do offer a rush service too. We can event print your photo on the chips.